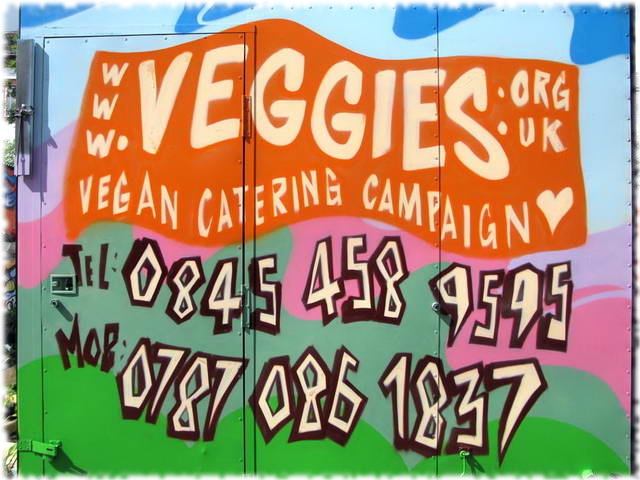 Veggies is volunteer-led, a community-based, social enterprise, promoting vegan catering and supporting campaigns for humans, other animals and the environment since 1984. We continue to cater and campaign for a huge range of groups on many diverse issues, thanks to the support of many people who come with us to events or who help behind the scenes at our Nottingham base. If you would like to help Veggies, feel free to come to our meeting, or see our Events Diary. (If other events are running at Sumac we may find space elsewhere).